The daily article that revisits astounding moments from the past to the present in the NHL. 1967- Montreal Canadiens rookie goaltender Rogie Vachon recorded the first shutout of his career in a 2-0 win over the New York Rangers. 1984- Pittsburgh Penguins trade former Norris trophy winner Randy Carlyle to the Winnipeg Jets for a first round draft pick (Doug Badger) and future considerations (Moe Mantha). 1996- Toronto Maple Leafs fire head coach Pat Burns after eight consecutive loses. Nick Beverly becomes the team’s interim coach. 2001- Anaheim Ducks trade Teemu Selanne to the San Jose Sharks in exchange for Jeff Friesen, Steve Shields and future considerations. 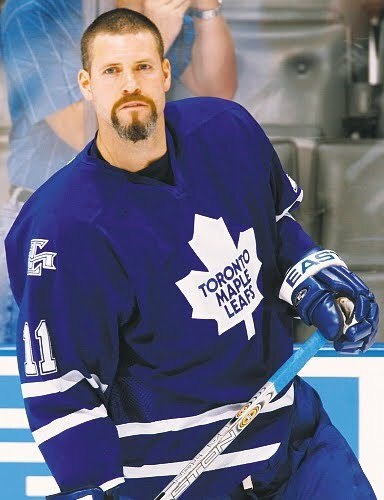 2003- Toronto Maple Leafs acquire Owen Nolan from the San Jose Sharks for Alyn McCauley, Brad Boyes and the Leafs first round draft pick (Steve Bernier). 2004- The Philadelphia Flyers and Ottawa Senators set an NHL record with 419 penalty minutes that resulted in five separate brawls in the final two minutes of the game.